After a rough 2018, blockchain-related stocks and exchange are delivering impressive performances in the first quarter — without the benefit of major jumps by the largest digital currencies. All of the dedicated blockchain ETFs came to market last year and most were soon overlooked as bitcoin prices plunged. 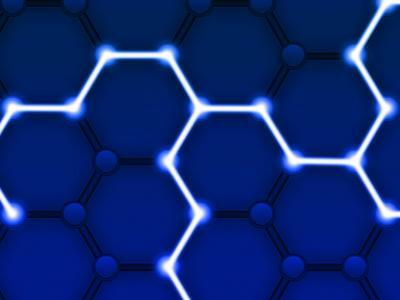 Some critics assert blockchain ETFs are no more than technology funds with higher fees, but some ETFs in this group carve out potentially compelling niches. That includes the Reality Shares Nasdaq NexGen Economy China ETF (NASDAQ: BCNA). BCNA debuted last June and follows the Reality Shares Nasdaq Blockchain China Index. The index “is designed to measure the returns of companies in China that are committing material resources to developing, researching, supporting, innovating or utilizing blockchain technology for their use or for use by others,” according to Reality Shares. On their own, blockchain ETFs are niche funds. Add a Chinese focus to the equation and the fund becomes all the more narrow, but BCNA is validating that narrow focus. Year-to-date, the China Blockchain ETF is up 28.38 percent compared to a gain of 16.72 percent for the largest domestic blockchain ETF. BCNA is also topping the largest China ETF by a margin of almost 2-to-1 this year. “Some had left ‘blockchain’ technology for dead along with bitcoin thanks to plunging prices in bitcoin and related digital currencies, but a roaring stock market in China thanks to a loosening in tariff talks has re-ignited interest here,” Paul Weisbruch, head of ETF sales and trading at Dallas-based Esposito Securities, in a recent note. BCNA holds 40 stocks, nearly 58 percent of which are technology or financial service names. None of its holdings exceed weights of 4.8 percent, and the fund’s top 10 holdings combine for 35.67 percent of its weight.